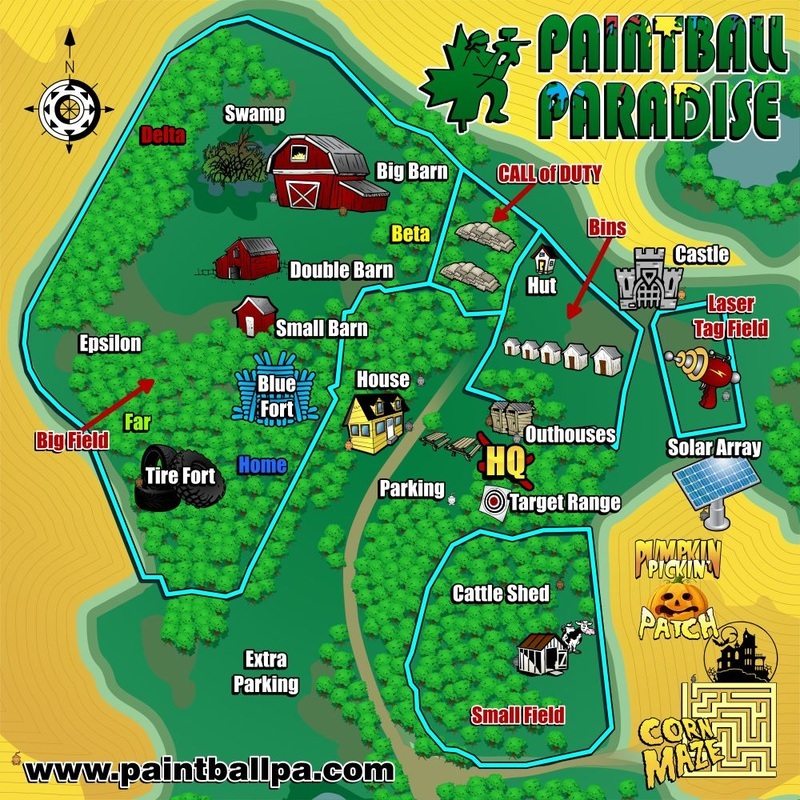 Paintball Paradise Prince Albert is located just 5 miles south-west of the city. 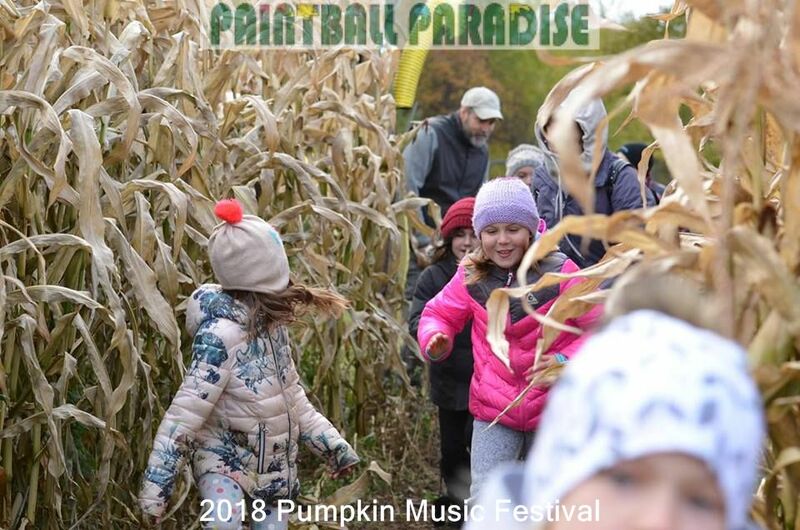 We have seasonal Paintball, outdoor Laser Tag, Haunted Corn Maze, Haunted House, Pumpkin Patch, Solar Array and a Pumpkin Music Festival. Call to book your group today 306-764-9444 or use our new Online system! 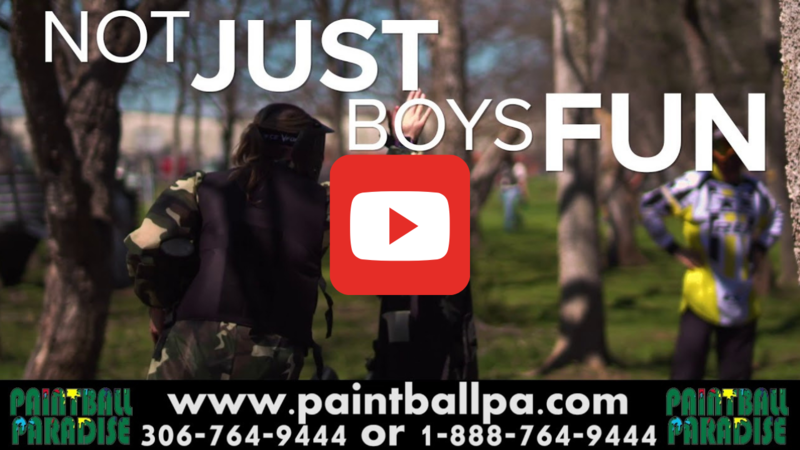 Minimum paintball group size is 8. Minimum laser tag group size is 10. Perfect for Birthdays, Stags, Hockey, Soccer or Ball Windups, Youth Groups and Office Parties or Staff functions. We have the Ultimate Birthday parties. Great teambuilding too! Save time and print/fill out your waiver form and bring it to the field with you. Do our waiver online, and it's even quicker. This is required by all players, each time out. Players aged 10-15 need their parents to sign. CO2 fills are no longer available. HPA rental tanks are available. 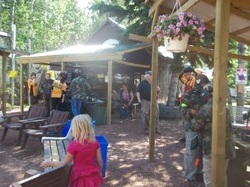 Staging Area at Paintball Paradise. We have a beautiful staging and a variety of playing fields to choose from. We are 2019 Marketing Award recipient in the Prince Albert and District Chamber of Commerce Samuel McLeod Business Awards. Haunted Corn Maze will Open Oct. Haunt Evenings are the last 3 Fri. and Sat. in Oct.
Pumpkin Picking Patch will open in Late Sept. We have many sizes and colours available. Get your pumpkin now. George and Katherine Lewko arrived in Canada in 1939, on one of the last ships to leave Poland before WWII, with 4 children. The HQ building was the first homestead for the winter of 1939-40. Uncle Bob was born in 1941, in the Big Barn of the Big Field (Uncle Bob never has to close any doors, because he was born in the barn). The 1949 Dodge truck found on the Call of Duty field was the first automobile that the Lewko's could purchase after the war. Horses where no longer needed to haul grain to the city. 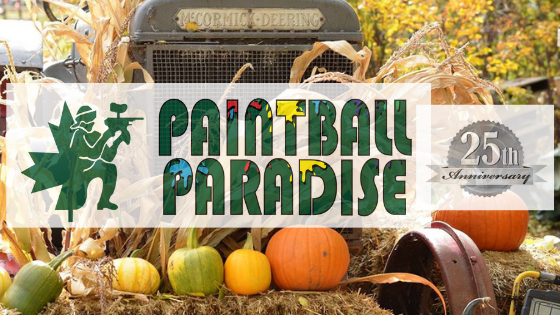 Grandson George Lewko was born in 1967, who currently owns and operates Paintball Paradise Prince Albert, which started in 1994. George along with his wife Kathie Lewko run "the farm" Paradise together. In 1997, George was hurt in a combine accident, and lost 4 fingers on his right hand. He works as a Forensic Professional Agrologist helping farmers with various crop damage claims. 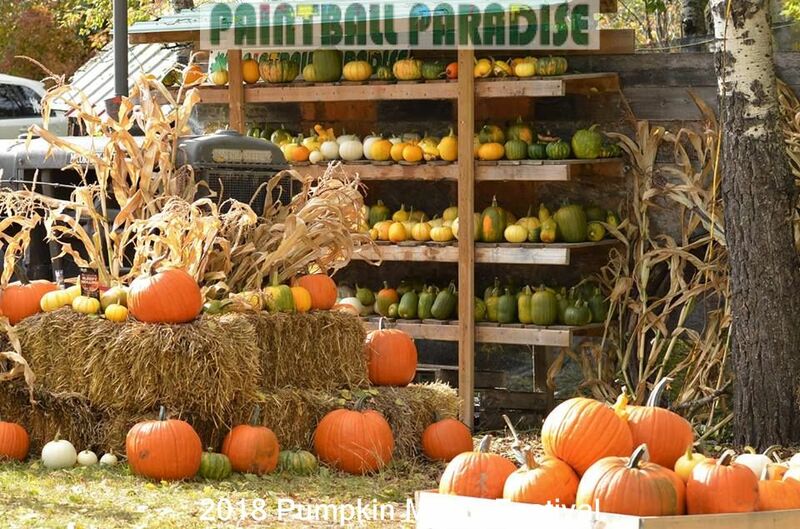 George started PPPA with Paintball (1994), Laser Tag (2012), Photovoltaic "Solar" Array (2012), Corn Maze (2013), Pumpkin Patch (2013), Haunted House (2016), Fairy Tale Trail "Jack and the Cornstalk" (2017) and Pumpkin Music Festival (2018). The P.A. Predators have won over 10 championships on the Saskatchewan Paintball Championship Circuit, which George is the Captain. 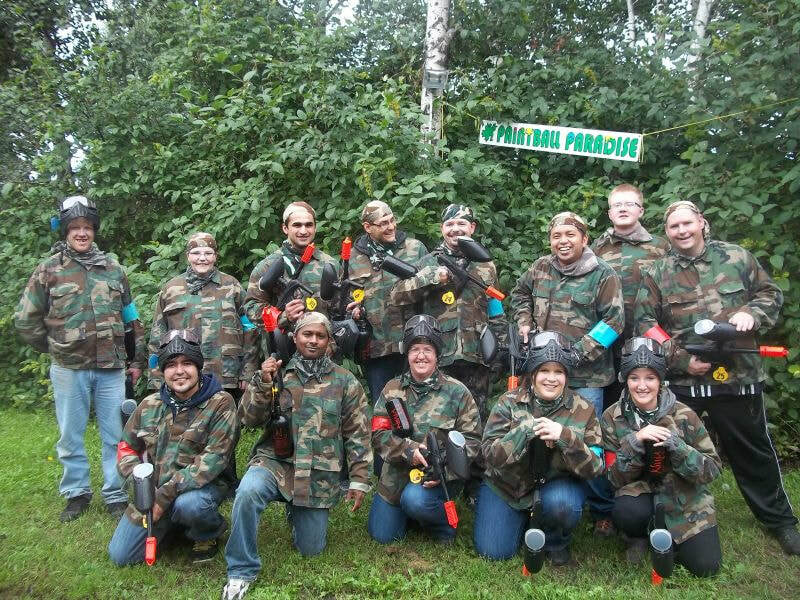 The Predators have traveled and played paintball all over North America, such as Regina (Can. Nationals), Calgary (Can. 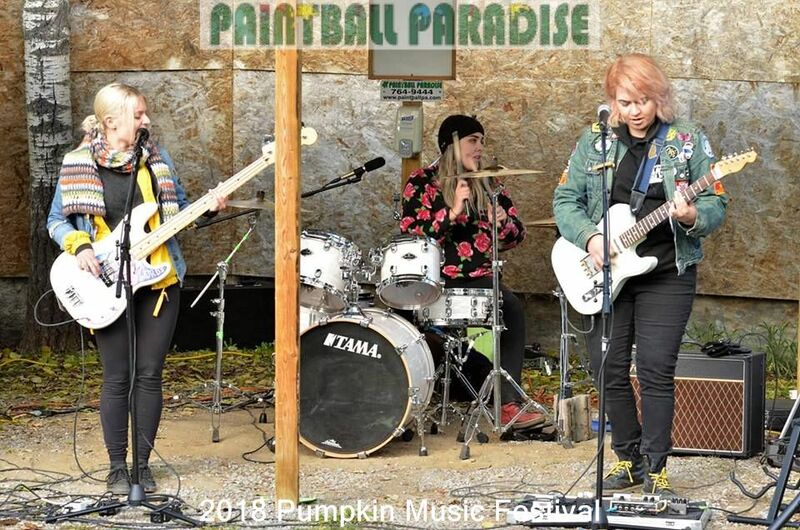 Nationals), Las Vegas (2000), Pittsburgh (2002), Chicago Shatnerball 3 CPX (2004), New Milford PA EMR (2011), Living Legends 7 near Chicago at CPX (2014), Canadian CPPL Nationals at Edmonton (D4) (2015).